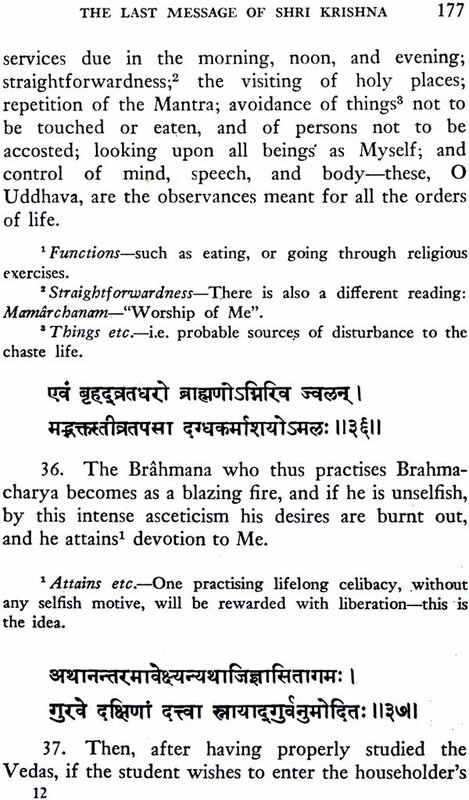 Shri Krishna gives in this text His parting instructions to His beloved devotee and follower, Uddhava, shortly before His departure from this world. These teachings, which are in every way as important as those of the Bhagavad Gita, form the main part of the eleventh book of the great Hindu scripture, the Shrimad Bhagavatam. Various instructions are given, but in and through all, the necessity of seeing the Lord in everything, plus living a life of perfect self-surrender and non-attachment, are continuously emphasized. 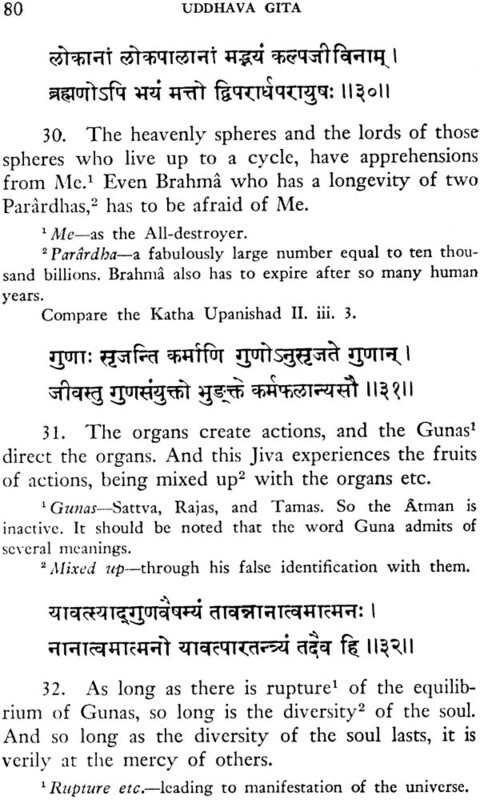 In the end Shri Krishna says, 'I have just explained to you, in a concise as well as an analytic way, the essence of the philosophy of Brahaman, which is unintelligible even to the gods'. 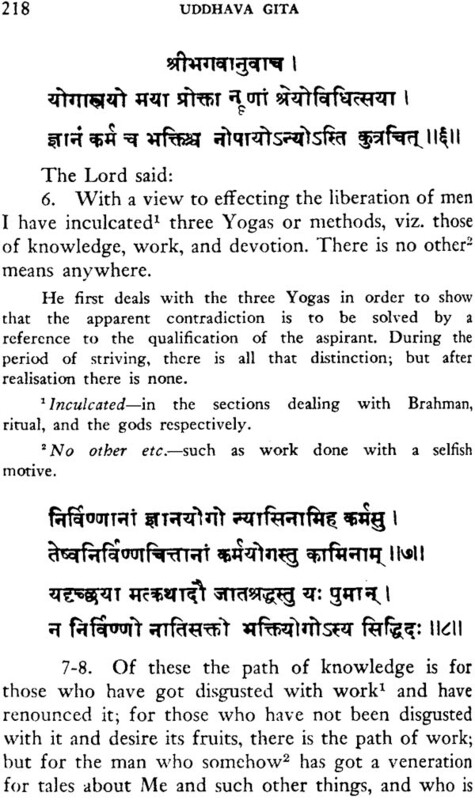 Shri Ramakrishna always kept a copy of the Bhagavatam in his room. He used to say, 'It is fried in the butter of knowledge and soaked in the syrup of love.' The study of such a book cannot but be of the greatest help to a seeker after Truth. 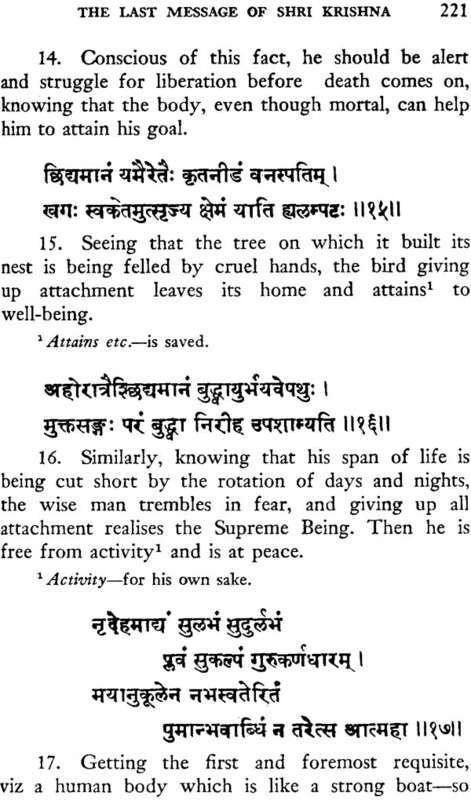 Shrimad-Bhagavatarn is one of the most authorita- tive of Hindu scriptures. 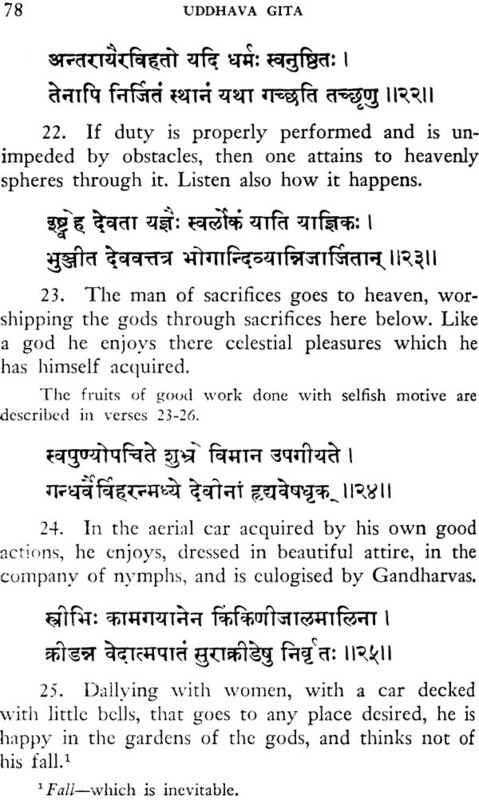 Tradition ascribes its author- ship to the great Vyasa, by whom it was taught to his illustrious son, Bhagavan Shuka. 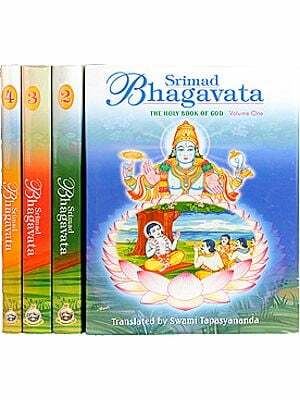 The Bhagavata is -a high authority on Bhakti or devotion. 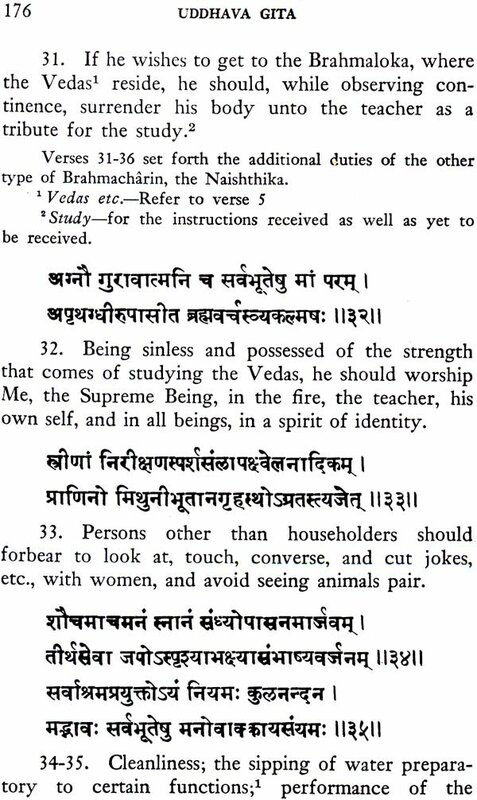 But devotion, as depicted here, is not divorced from Jnana, as it is popularly understood, but rather Jnana is exceedingly helpful - to its perfect attainment. 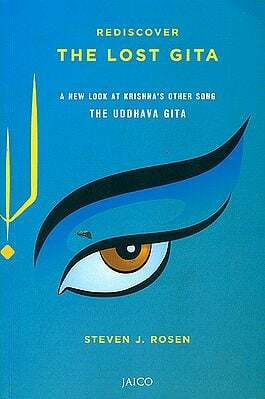 Bhagavan Shri Krishna is the central figure of this wonderful work, and in the Eleventh Book, the Lord on the eve of His exit from the arena of the world gives His parting instructions to His beloved devotee and follower, Uddhava. The lessons comprise a variety of subjects, but in and through all, the necessity of seeing the Lord in everything and living a life of perfect self- surrender and non-attachment is passionately incul- cated. The Bhagavata amply fulfils the chief task of the Puranas, - viz popularising the Vedic truths by means of narratives and such other aids. "It is", as Shri Ramakrishna aptly expressed it, "fried in the butter of Jnana and soaked in the syrup of Bhakti." The study of such a book cannot but be of the greatest help to a seeker after Truth. 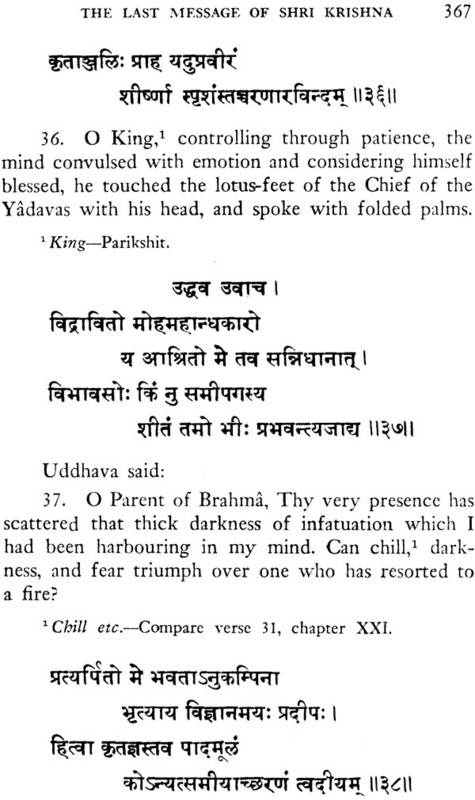 The present edition comprises the two volumes which were first published with the title Shri Krishna and Uddbava and corresponds to chapters six to twenty-nine of the Eleventh Skandha of the Bhaga- vata. The- difficulty of the original will, it is hoped, be greatly overcome by the translation and notes here given. 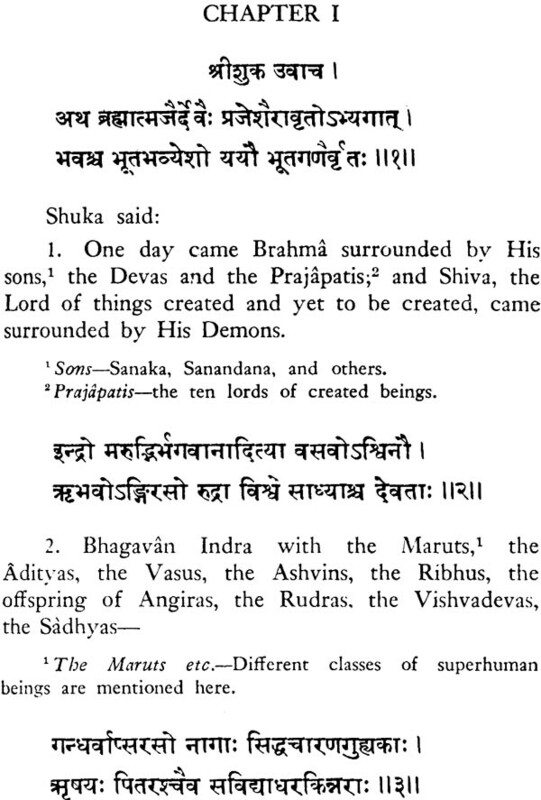 Of the many commentaries extant, Shridhara Swami's is the most famous, and it is this which we have mainly followed. 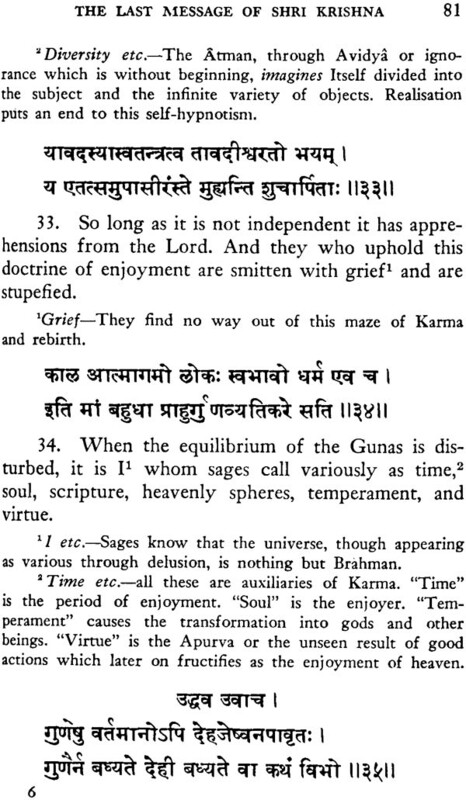 We have every reason to hope that the present work will form a fitting sequel to the celebrated Shrimad-Bhagavad-Gita.